The smoky flavor and aroma imparted by grilling pairs well with lamb's assertive taste, says "How to Grill" author Steven Raichlen. 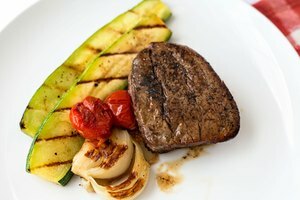 The key to grilling lamb is to avoid overcooking – lamb tastes its best medium-rare. 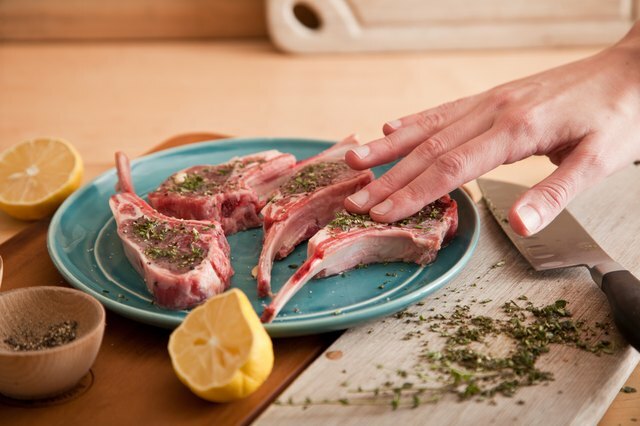 Choose lamb chops labeled as rib chops or loin chops for cuts that are meaty and not complicated to prepare, making sure they're at least 1 inch thick, preferably 1 1/2 to 2 inches. 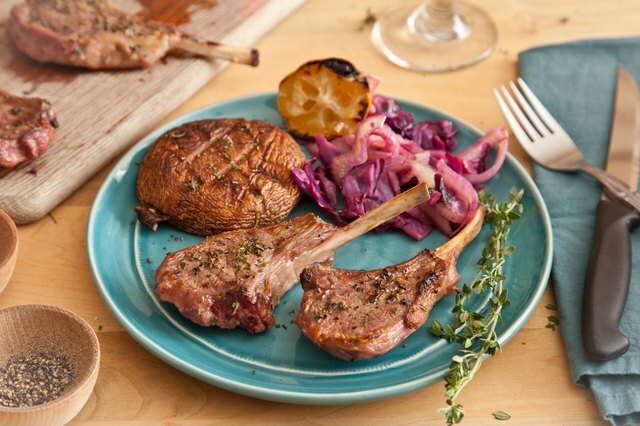 Serve the chops with grilled vegetables, crusty bread and a medium-bodied red wine like Pinot Noir. 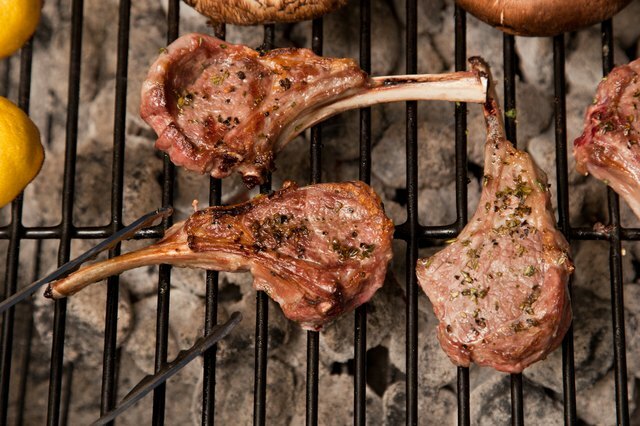 Rub all parts of the lamb chops with your choice of herbs and spices or place them in a marinade. 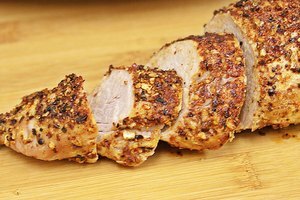 Choose from typical seasonings paired with lamb, including rosemary, garlic, salt, pepper, thyme, mint, lemon juice and olive oil. Put the lamb chops on a large plate or in a shallow baking dish. Cover loosely with plastic wrap. 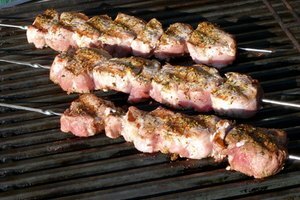 Refrigerate for at least 30 minutes or up to an hour, turning once if the chops are in a marinade. 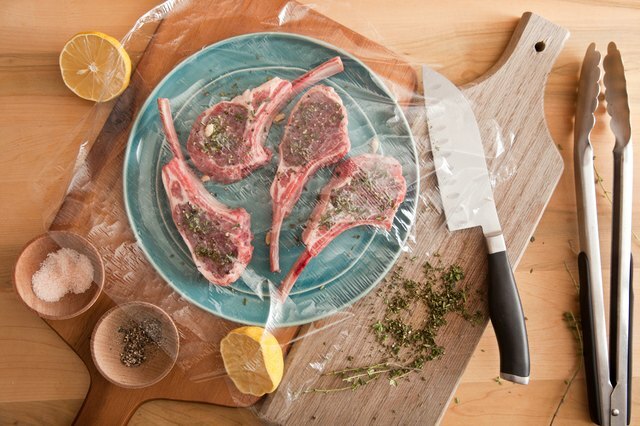 Take the lamb chops out of the refrigerator. 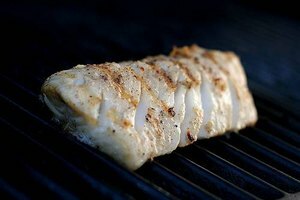 Allow to stand at room temperature for 30 minutes before grilling. 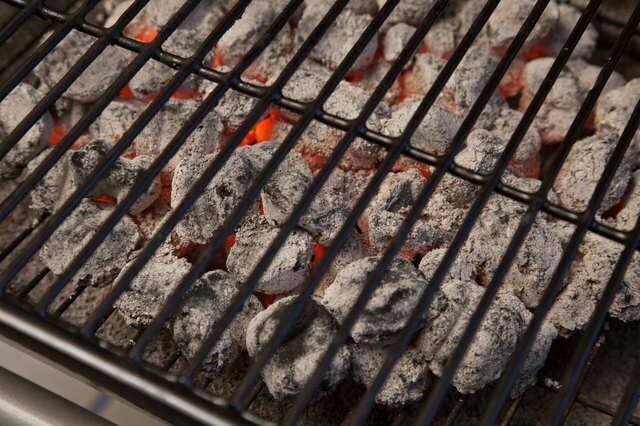 Set a gas or charcoal grill up for direct grilling. Preheat to high. 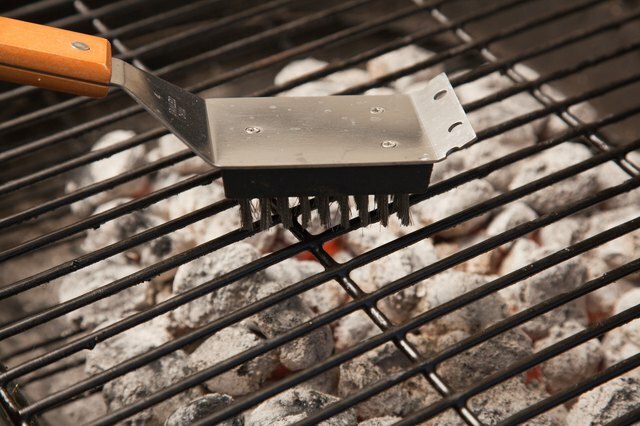 Use a wire brush to scrape the grill grate clean. Oil the grate lightly with vegetable oil. 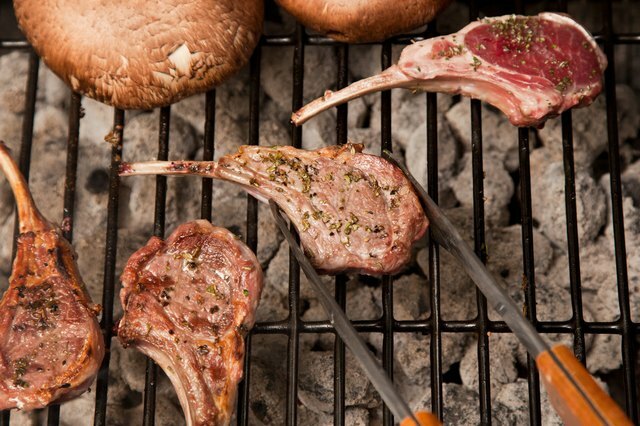 Use tongs to place the lamb chops on the grill. 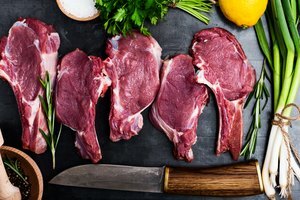 Cook for approximately 2 minutes, then turn the chops at a 90-degree angle to allow the meat to develop crosshatch marks. Grill for approximately 2 more minutes. Turn the chops over with the tongs. Grill the second side of the chops for 2 minutes, then rotate each 90 degrees. Allow to grill 2 more minutes. Remove the chops to a clean platter. 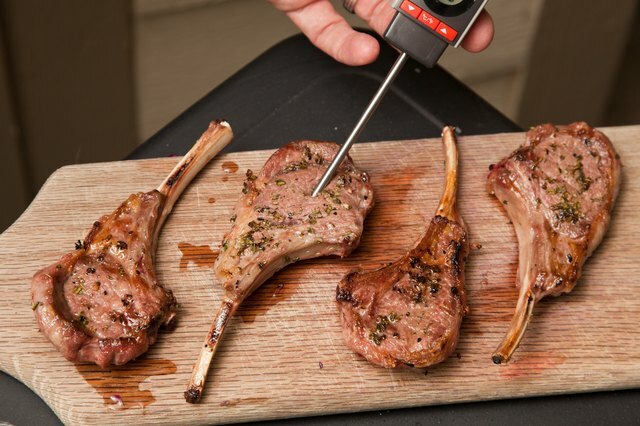 Use a meat thermometer to check that the thickest portion of the chops has reached an internal temperature of 145 degrees Fahrenheit. Let the chops rest for 3 to 5 minutes. Serve. 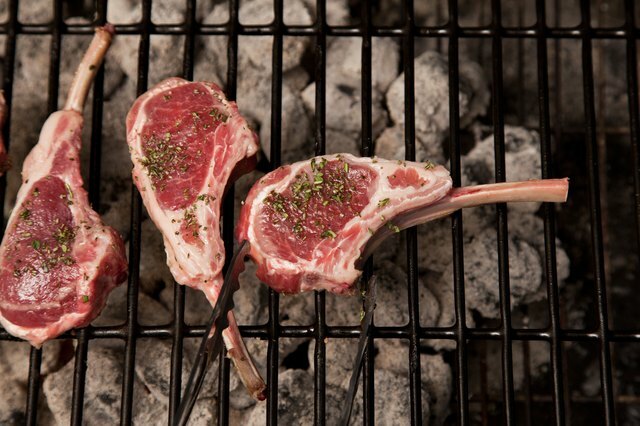 For the best-tasting, highest-quality lamb, choose local grass-fed lamb chops or ones imported from Australia or New Zealand. Never reuse plates or utensils that have touched raw lamb to carry or handle cooked lamb unless they have been thoroughly washed in hot, soapy water first. Discard marinades used to flavor raw lamb.